Join WinOptions Affiliate Program and Work with the Best! 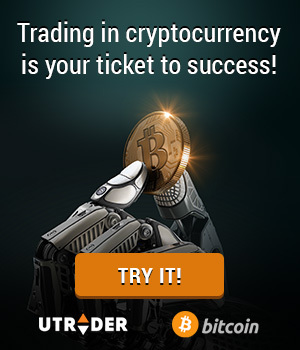 As you’re well aware of, binary options trading are new and exciting means of trading options in the global markets, in a simple and straightforward trading environment. We at WinOptions, offer numerous profit-boosting opportunities not only to our valued traders but also to our affiliates as well. By joining the WinOptions affiliate program, you align yourself with the global leader in the binary options industry. Joining our affiliate program provides a wealth of benefits that will surely boost your revenue rate. Not only that, you will have access to our complete set of advanced marketing tools that’s second to none. With our banners, landing pages, templates, text links, customized e-mails and various adverts, you can stay up-to-date with your conversions and determine how effective the tool is on your site or network. Our compilation of marketing tools is designed to make your site stand out while boosting your site’s traffic. Clients who join the Win Options affiliate program are insured by a secure and healthy partnership that’s protected at all costs. By becoming an affiliate of WinOptions you’re joining the industry’s top affiliate program with a comprehensive compilation of marketing tools and the most competitive commission rates on the web. Once you register for an affiliate account, you will be granted full access to our extensive range of tools and have the power to decide which tool works best for your site. But before anything else, you need to have a traffic source or any method so you can communicate with your traffic. This can be a website, an email list, a network, a Facebook page, a Twitter account or whatever you have at your disposal. As a WinOptions affiliate, your task is to provide your traffic with the best possible options to earn substantial profits with a superior platform. 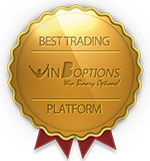 Interested in becoming a WinOptions affiliate? Sign up for free! WinOptions understands that each affiliate has its own unique needs. The benefits of our affiliate program are tailor-made for all shapes and sizes. We see to it that all these great perks are optimized in order to maximize your earning potential. Furthermore, we always ensure that all our affiliates are armed with what they need to improve their traffic channels and boost their conversion rates. Our 24/7 real-time tracking tools help you control and monitor your campaigns online, providing you with complete statistics report of what you’ve done over the past few days, weeks and months. Aside from our revolutionary features is our highly-rewarding affiliate package that consists of rewards and incentives. Win Options affiliate program offers the industry’s highest conversion rates, CPAs, revenue share and even lifetime commissions to ensure that our clients only receive the best rewards so they can reach their maximum potential. As one of our valued partners, you will receive 35% from your lifetime referral revenues or get the chance to earn up to $350 per successful referral when you apply to our enhanced CPA program. As you can see, WinOptions affiliate program is your best option for a successful partnership. So go ahead, don’t waste any more time as this comes only once in a lifetime. Get your free affiliate account today and experience the best in affiliate marketing!